The fitness industry is broken. Every year millions of people start diets, gyms and sweat away in classes but achieve nothing. There’s a simple reason for this: Modern life is tough. Three gym workouts per week simply does not outweigh your busy life, daily stress, work commitments and family responsibilities. Three half-arsed workouts each week won’t balance out your crushing stress levels. A magical fat loss pill won’t help when you come home from work emotionally drained and binge eat pizza on the sofa. It’s the busy modern life that holds us back. Most of your life is spent underslept and overstressed. You eat junk. Drink several times a week and have no emotional energy left to make a lifestyle change. Trying to stack a ‘fitness solution’ on top of that mess is not going to work. Yet that’s what most people are being sold by the fitness industry. You’ve probably tried something like this already… and failed. These old, broken ‘fitness solutions’ keep you living the SAME yet expecting to look and feel better, bouncing around from gym to gym, progressing and regressing over and over. It changes here, with us, right now. Since 2013 we’ve helped thousands of men and women get dramatic fat loss results, we’ve radically altered peoples physiques and helped them make ridiculous improvements in strength and fitness. Everyone who experiences it loves the community we’ve cultivated at RSG. But whilst the old Built, Lean Girls and Team Tone programs we ran over the past 4 years were a success on the surface, some people still failed. You see despite the evolution of fitness over the years, people still pursue short term change. Social media piles on the pressure, we are bombarded by images of seemingly incredible side-by-side transformations causing us to set our expectations unrealistically high. And when we fail, we are filled with negative self-talk and doubt. If we are to help solve the major problems with fitness as an industry and help those that continue to be failed by bad trainers and average gyms, we need to tackle the root of these failures, not just the symptoms, whilst finding others that share our vision. Our entire ethos is built around changing the way you live your life. We believe the way you look, feel and act is a direct side effect of how you live. Put simply, live better, and you’ll look better. You see, modern life is comfortable and in exchange for comfort we've given up our natural strength, health and vitality. Or put simply, we are all lacking fulfilment and purpose. Too much time is spent on trying to transform our bodies rather than looking to the root cause of why we are unhappy in the first place. Our vision is to create a new paradigm that inspires change in everyone who wants it, away from the failings of commercial gyms and fitness programs. Rather than try to improve what we know doesn’t work, it is time to evolve. It is time we all start living a life of purpose. RISE is a whole new training method, a development of our previous group training model that, in the years since it's inception in 2013 has become popular around the UK. RISE allows regular men and women to achieve amazing results, to see and feel a radical transformation in the body and mind. This proven and unrivalled system teaches people how to lift weights, how to create a new lifestyle and embrace healthy living. Whether you are a complete novice when it comes to the gym, or you are looking to make some serious improvements, our RISE program is customisable by you, to you, unlike most bog-standard ‘transformation’ group training programs. This is why we still have men and women making serious improvements to their physique and fitness after 5 years of being members. 1. They can't attend enough sessions, either through choice, or because they can't commit to multiple sessions around a busy schedule or hectic weekends. 2. They don't get enough sleep and/or are highly stressed from work and family commitments. They come in to train with us in a non-recovered state that compromises the impact our sessions can have, and individuals in a fatigued state find it almost impossible to follow nutritional guidance or train with enough consistency. In both these scenarios it is your habits that is holding you back from creating true change. With our new method of training we can help more people benefit from lifting weights and training with intensity, regardless of how often they can make it to the gym. Previously many people were tied to a set number of hours training per week, and progress faltered when sessions were unavoidably missed, often at weekends. With RISE we can help you continue to make progress even if the odd weekend session is missed. With a unique timetable structured around the traditional working week, the RISE program allows you to attend two focussed sessions per week. These RISE sessions are covered over 5 different group times Monday to Thursday each week. And because we have developed our unique training methods over the past 8 years, we can get the same results in terms of strength and fat loss in these two sessions alone, as gained over the average 3 x ‘Body Transformation’ sessions. With our full RISE Plus program you also have access to an additional three sessions per week. This prevents training from becoming stale, and gives you the flexibility to train as much as you want, whenever your schedule allows, whilst still working toward your goals within the RISE program. You can attend these sessions on either Friday, Saturday or Sunday each week. C - Customised - By attending up to 3 additional sessions each week of your choice, this allows you to tailor your individual training program to suit your immediate goal and current schedule. You can change your choices each week to do the things you love or just simply work more specifically to a particular goal without the fear of missing important parts of the program. O - Original - With our four different additional session types to choose from, Built, Fit, Strong & Move, your sessions will always be varied and fun, allowing you to combine different training styles. R - Rewarding - Accept that training is hard and you're ready for it! Make your journey to a better life more rewarding with the sense of achievement that comes with completing each and every one of our sessions. E - Effective - Our training methods have been developed over 8 years of training both athletes and non-athletes. With our unique combination of Strength & Conditioning and Kinstretch® we train you in all aspects of athleticism so you can look an perform like an athlete. Advanced training methods that we have tested on hundreds of local men and women, proven to help you make dramatic improvements to your physique by building more lean muscle mass, measureable by our InBody body composition machine at your progress meetings. and we can even introduce you to novice-friendly competitions. A mobility and stretching class teaching the essentials of body maintenance. Helps to de-stress the mind, speeds up recovery from other training and works towards the complete elimination of aches and pains. Speed up fat loss and increase “the afterburn effect” whereby you burn far much more energy AFTER your workout. With intense whole body workouts, every session is compatible with our MyZone software to track and progress your MyZone Effort Points each week. Some simply don't take any responsibility for educating themselves around nutrition and training and are still looking for the ‘lazy option’ or ‘quick fix’. Our Path to Superhuman is not a short cut, but meets you where you are, taking you through the small, consistent steps you need to follow every day to fulfil your purpose and change your lifestyle. Here we supercharge your life, fire up your mind and remove absolutely everything that was holding you back. You get a nutrition manual with simple, practical things you can apply right away: what to eat, positive mindset, meal-prep, sleeping better, recovery techniques and a ton more! Your InBody scan gives a precise calorie target to improve your health (based on your muscle mass and fat mass) and you’ll learn how to create a meal plan to hit that target. This is all about you learning to make eating fun and consistent so you can build strength, burn fat and live healthy for the rest of your life. Now you are educated in what works for you and are consistent with your approach you can focus your energy into a short-term fat-loss phase. Over 8 weeks you’ll get the tools to calculate and adjust your calories each week with our help, to achieve a life-changing drop in body fat. Every 6 weeks our Head Coach runs a nutrition seminar to refresh you on the basics, inspire your mind, and teach you something new. You’ll learn everything there is to know about nutrition, dispel all myths and finally gain clarity on what works for you. Now for a challenge - using the easy-to-use Rise Challenge App you’ll track your daily habits and stick to your meal plan over 6 weeks. Points are awarded for every daily task you complete and you’re entered into a leaderboard with every RISE member. The team spirit steps up your consistency, the friendly competition keeps you motivated, so everyone wins. If you’re not tracking your workouts, how will you know if you’ve improved? 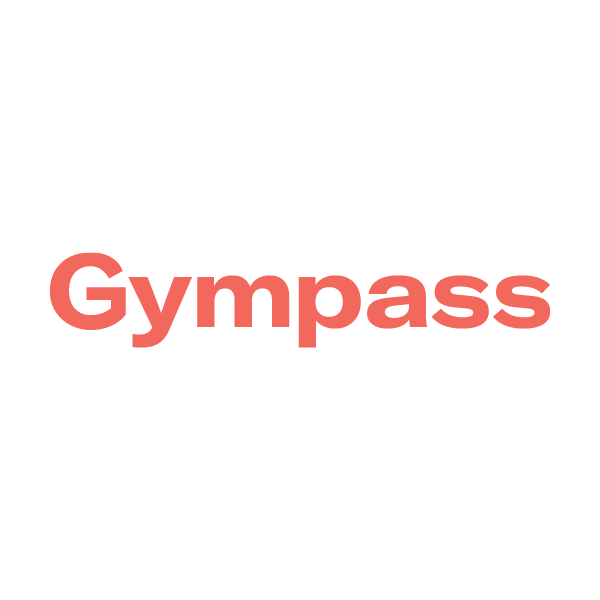 Track your weights on a designated App straight from your smartphone and record your strength, fitness and mobility progress in your own personal progress folder at the gym. Your goal is to simply be a tiny bit better every 4 weeks and your coaches will help you work towards this in every session. Our Inbody scanner shows exactly how much muscle mass and fat mass you have so we can see changes that traditional scales do not. Every scan gives a printout you’ll keep in your folder to see how your body metrics are improving. You’ll see fast results because: a) your calories are extremely accurate and tailored to you, and b) you are motivated to see a better result on your next scan. This is NOT an opportunity for a ‘quick fix’. This is a chance to discover a life-changing way of training whilst we decide who is the right fit for our growing community of members committed to changing their bodies and lives. Our members get expert guidance and support so they can make a big shift in their body shape, strength & fitness levels. We leave nothing to chance providing that level of attention, support and knowledge so you can get the result you want when you simply MUST make the switch. Let’s be totally upfront and honest here too, not feeling yourself, not feeling healthy and not giving your all in life can all come from being unhappy with your body. So maybe it’s time you stepped up and made the change. Here’s the type of results you can achieve with our programs and coaching.